1. Connect and fix the mobile phone clip with 1/4 and 3/8 screw. 2. Fixed mobile phone clip to autodolly’s screw hole. 3. Install battery and mobile phone ,then open power switch. 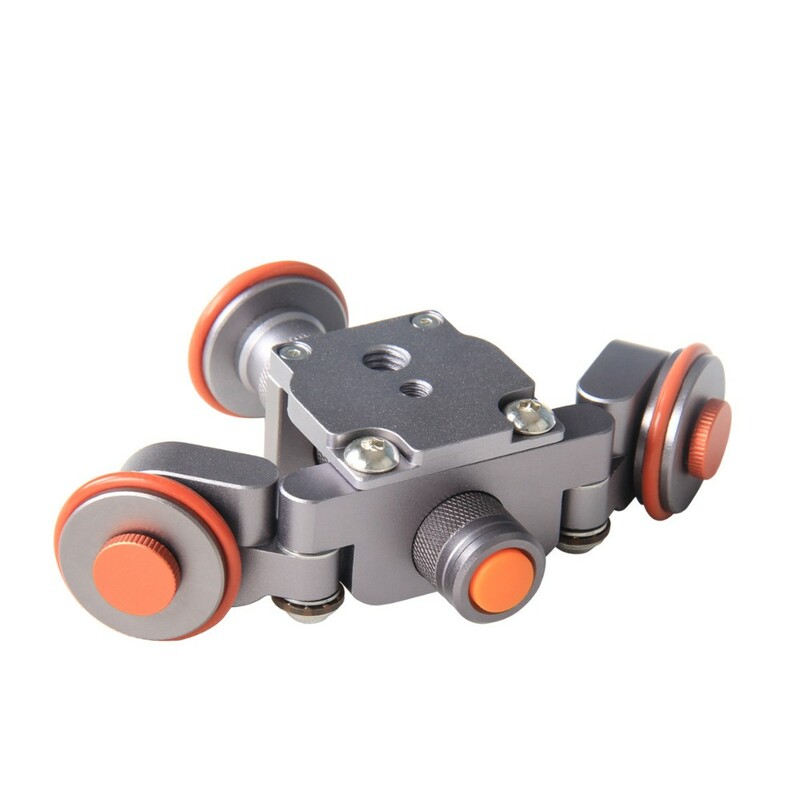 – Autodolly can adjust angle to realize straight line and aptitude shooting. It also can install ball head baseplate. ***Must adjust center and camera fixed well before use.